Get closer to your subjects than ever before with the DJI Osmo+, DJI’s first handheld gimbal with an integrated zoom camera, A 7x zoom, consisting of 3.5x optical and 2x digital lossless zoom, gives it a focal length ranging from 22mm to 77mm without sacrificing HD quality. This gives you more control over your composition than ever before. A focal distance that starts from just 0.5 meter means you are perfectly in focus when shooting an action selfie, just triple tap the trigger button to enter selfie mode and start shooting. Take big, detailed landscape photos you will want to frame using only your smartphone and the Osmo+ its panorama function automatically captures and blends 9 separate photos together to create one stunning photo. 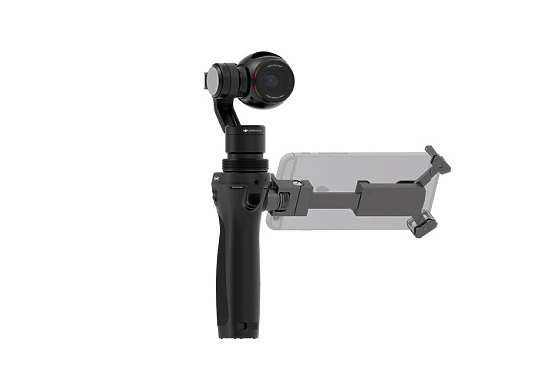 Hire the DJI Osmo+ Gimbal & Camera from Procam. Best service and rental rates for the DJI Osmo+ Gimbal & Camera and all cameras, lenses, sound, lighting and grip.